We are always looking for and creating NEW and exciting ways to make YOUR wedding stand out as unique, special and one-of-a-kind. One problem some of our clients have is how to extend their party later into the night if their wedding is being held in an area with noise by-law issues. It’s a bummer to have to shut a rocking party down at 11 PM because of neighbourhood issues. The solution to this problem is HERE though, we’ve partnered with Silent Beats Events to help extend the party as late as needed! Click here to learn more about Silent Beats Events. The concept is simple, yet interesting and you have to watch the videos to “Get it”. Make sure you mention you’re a DCF Wedding music client when you ask for a quote, you’ll get a special discounted price. #2 Customized Song: Now “Your Song” can actually be YOURS. If you’re struggling to find the perfect song for your wedding ceremony, or First Dance or other special moment at your wedding, let us write it specially for you! We will interview you, learn about your unique love story and turn it into a song for you to listen to. The best part about the offer is that if you don’t LOVE it, you don’t pay. Why not try it out? 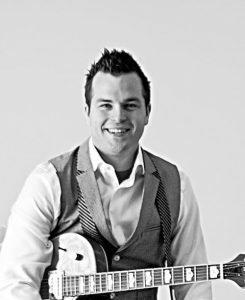 David Cavan Fraser is the founder and bandleader of DCF Wedding Music based out of Erin, Ontario. He specializes in live music that’s exciting, entertaining and engaging and has been involved in the wedding industry professionally since 2007. DCF Wedding Music & DJ Service performs at venues in Toronto, GTA and Southern Ontario. To meet David and learn more about his services book a free consultation at https://meet.dcfweddingmusic.com. Or contact him at 1-866-710-7658 – david@dcfweddingmusic.